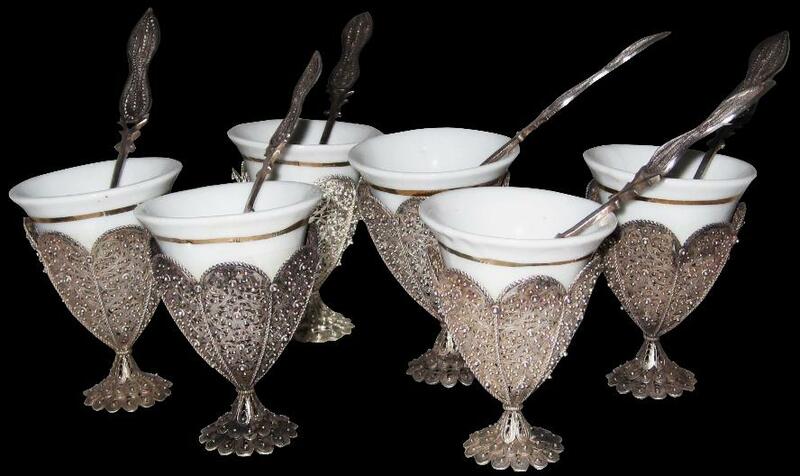 Zarfs are small metal holders in which a porcelain cup sits used to serve Turkish coffee. The use of zarfs spread with the Ottoman empire. This set probably dates to the early twentieth centre. 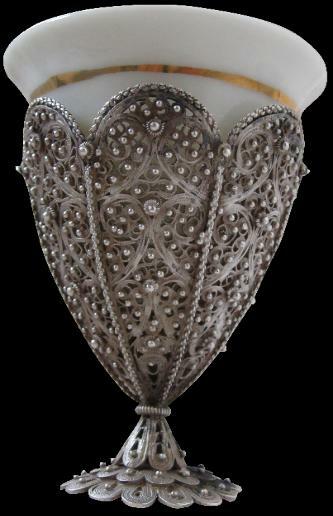 Each is of tulip form and is of fine, twisted filigree silver with applique silver granules. The set is accompanied by six matching filigree spoons and six porcelain cups, each with a simple gold band. The bowl of each spoon has open-work and is designed for stirring a sugar lump until is dissolves rather than for ladling in granulated sugar. 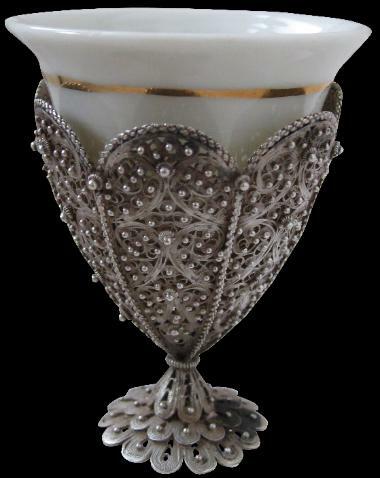 Each zarf is in good condition – there are no splits or cracks to the joins in the silverwork.